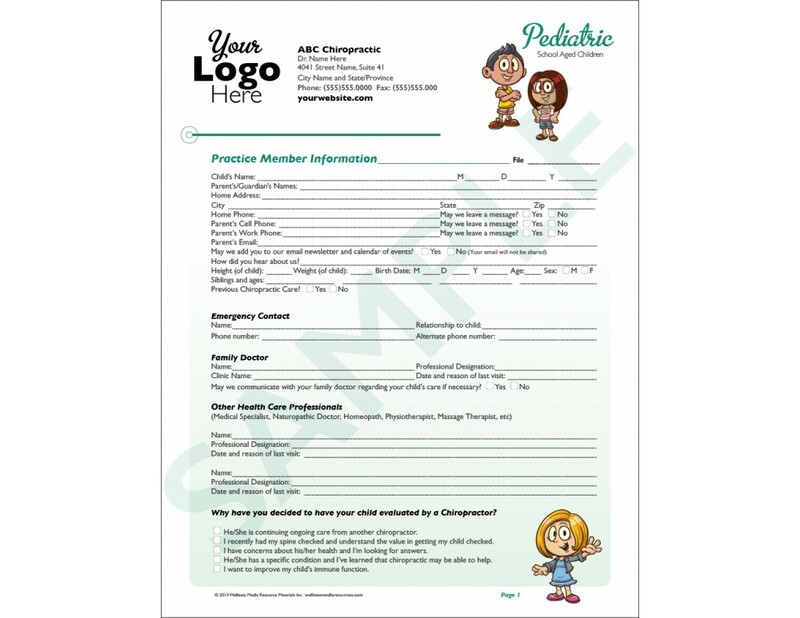 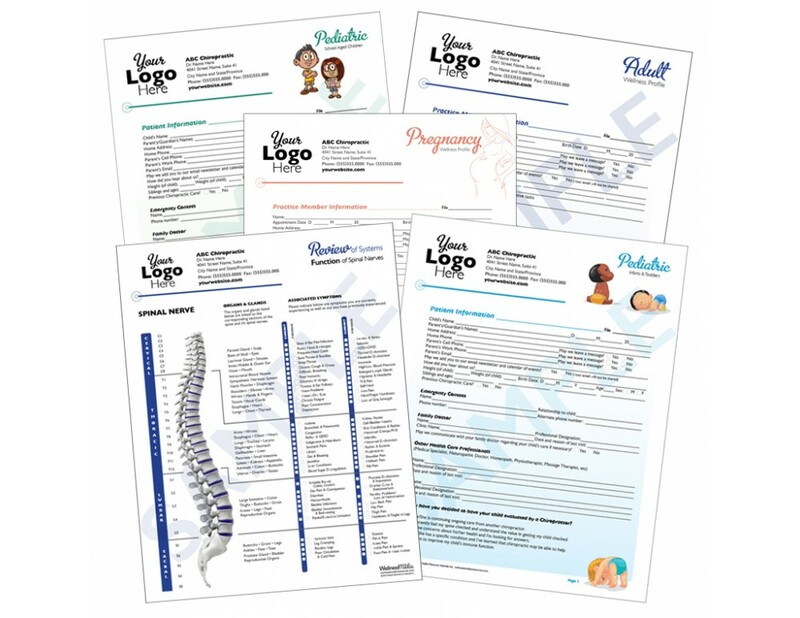 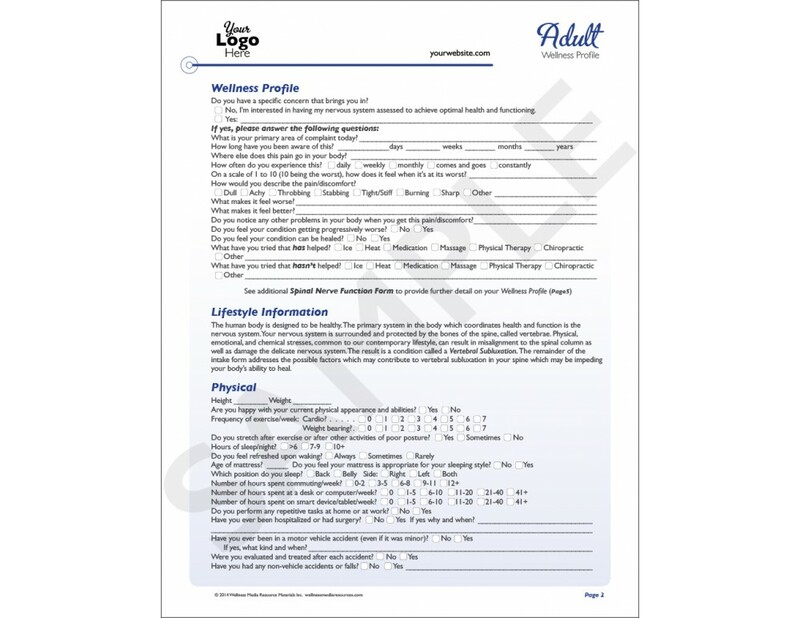 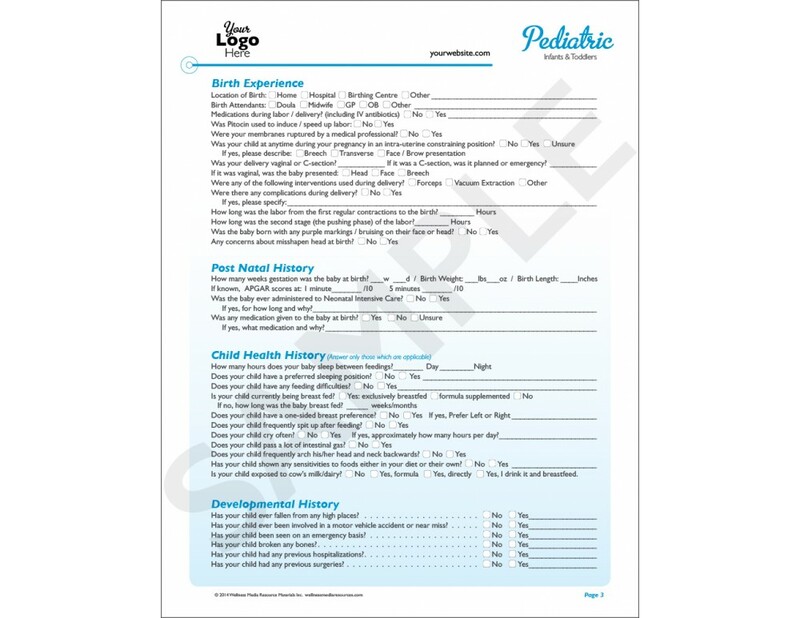 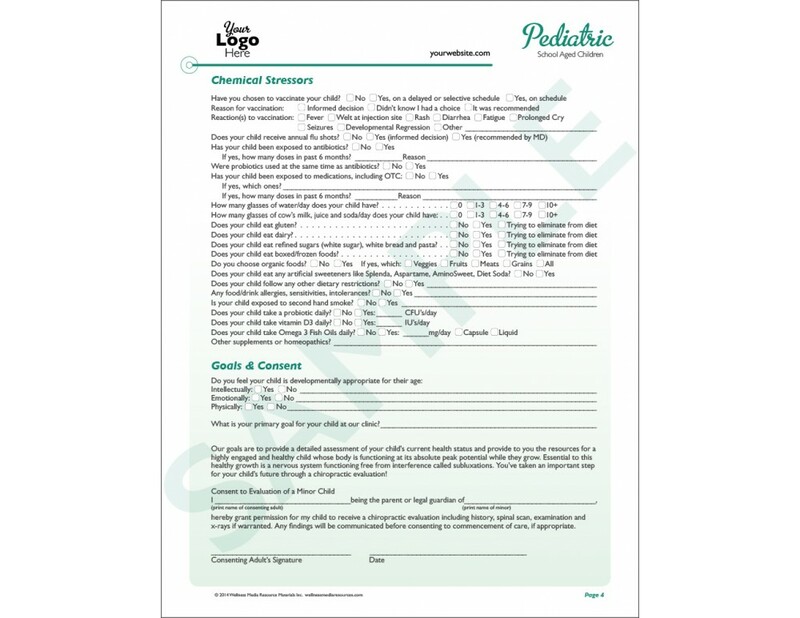 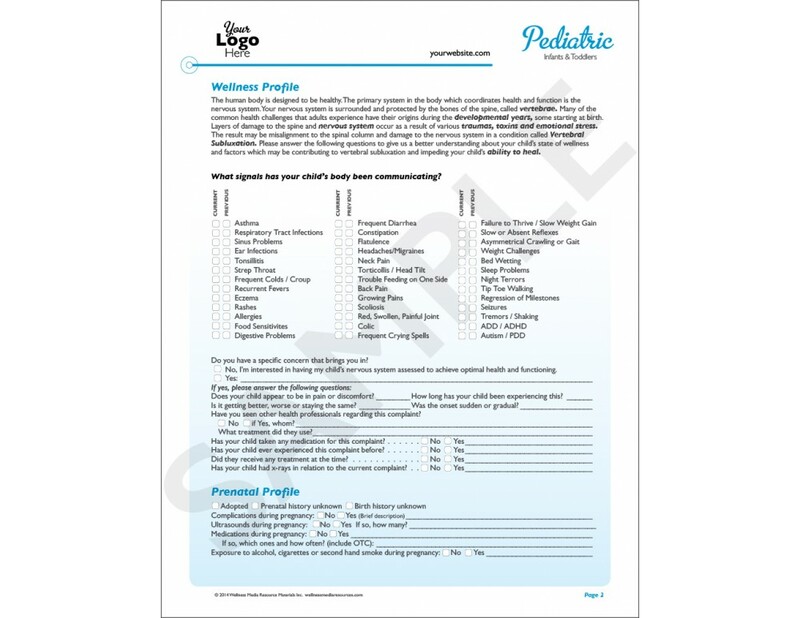 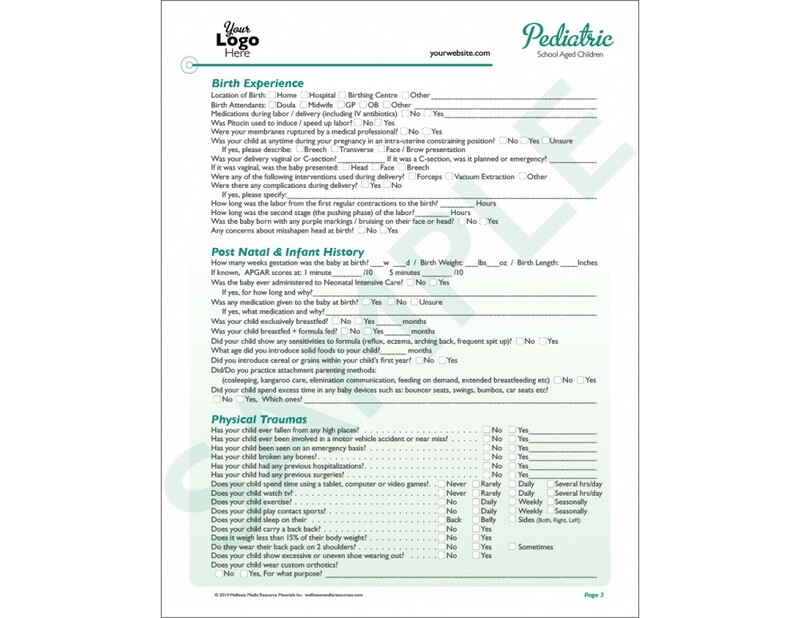 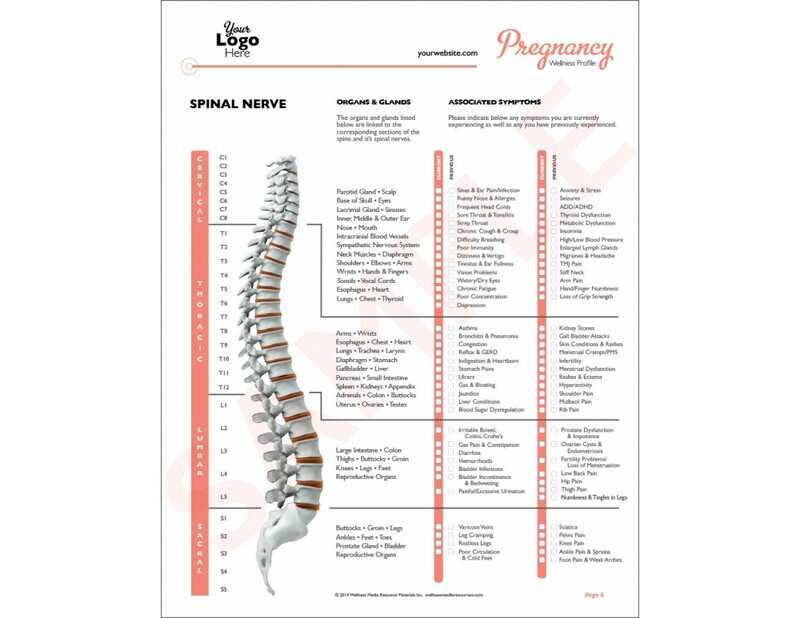 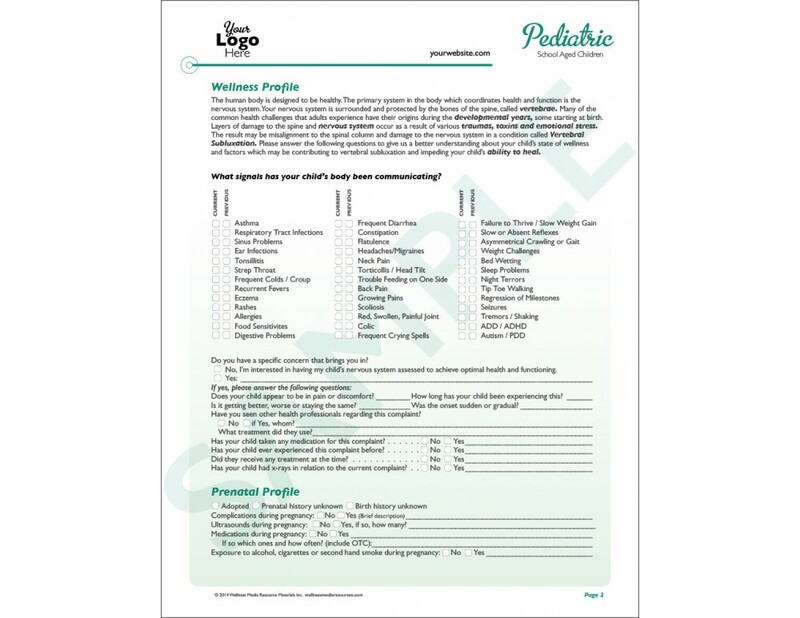 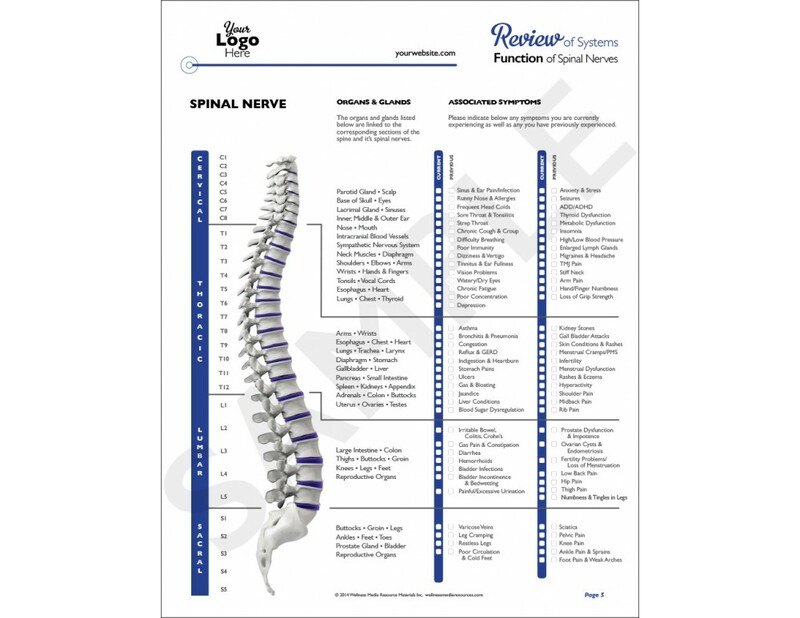 Customizable chiropractic intake form package. 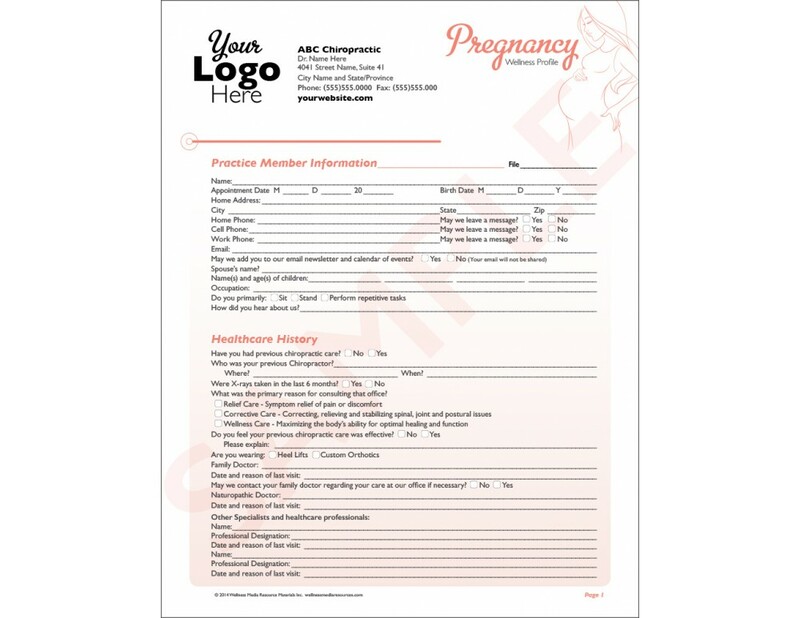 To order, please complete and save the customization tab below, then add this product to your cart. 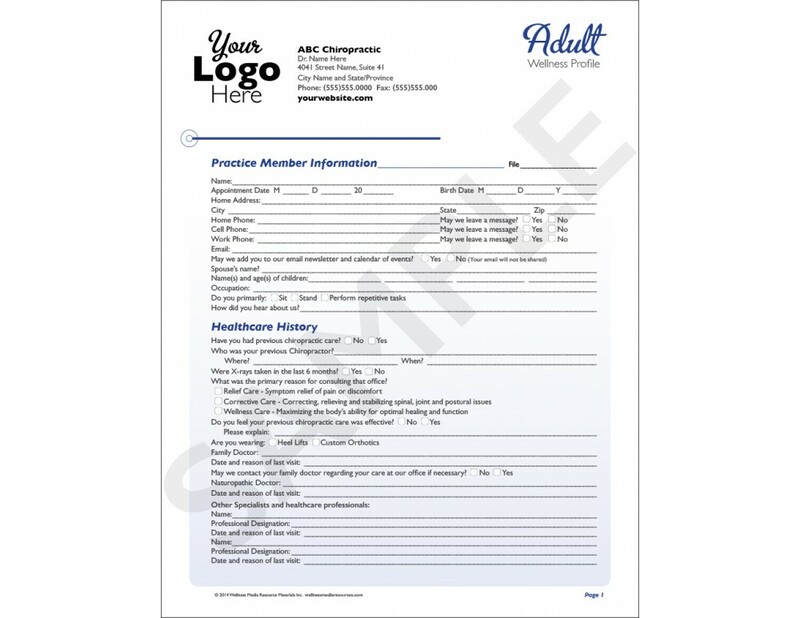 Please enter your information exactly how you would like it to appear in your forms. 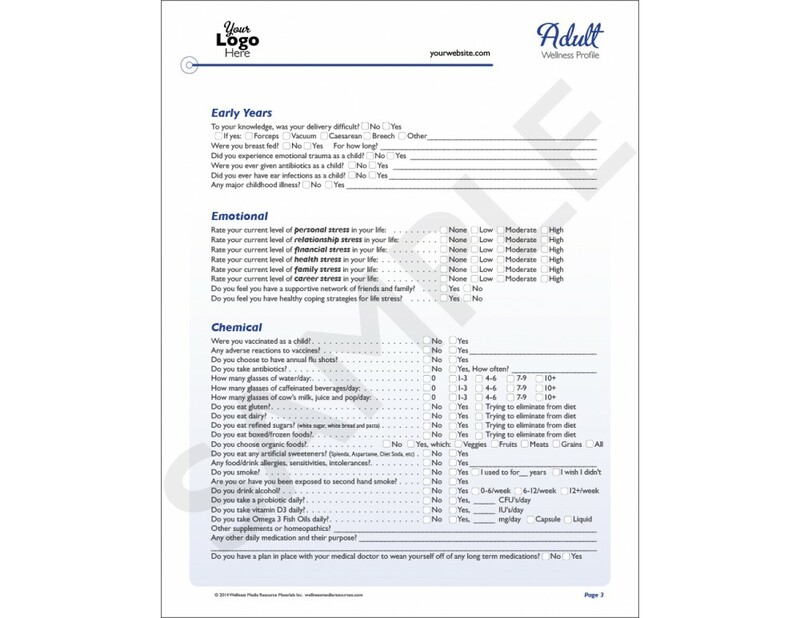 See reference images of this product to view how your information will appear. 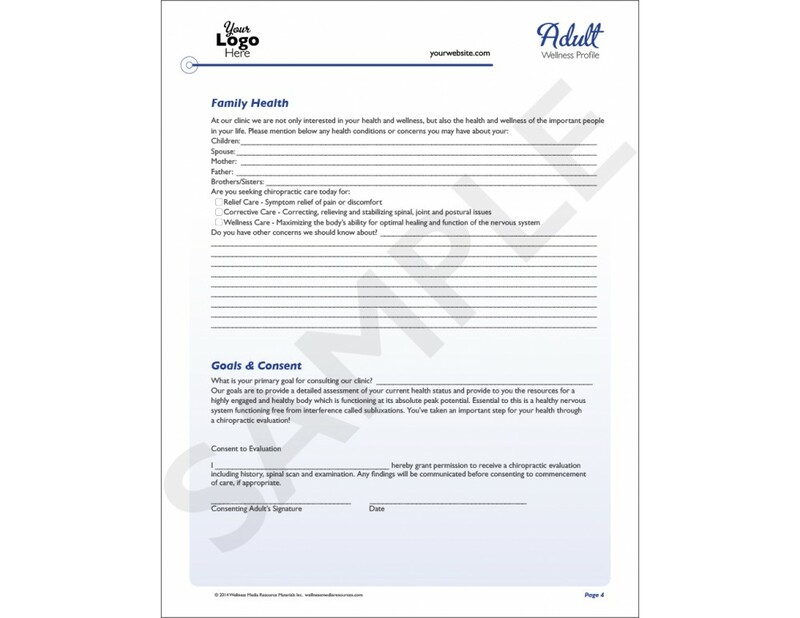 If you wish to omit certain fields simply leave them blank and they will not be included. 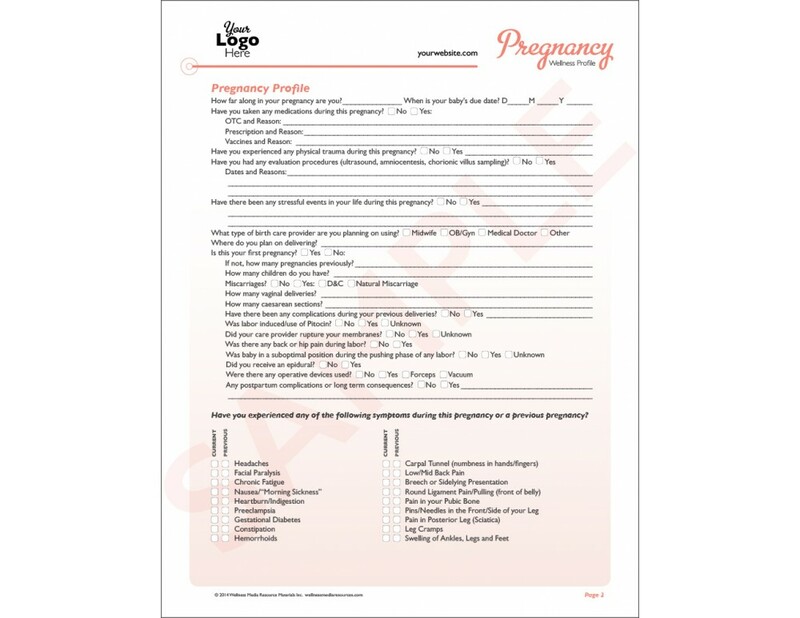 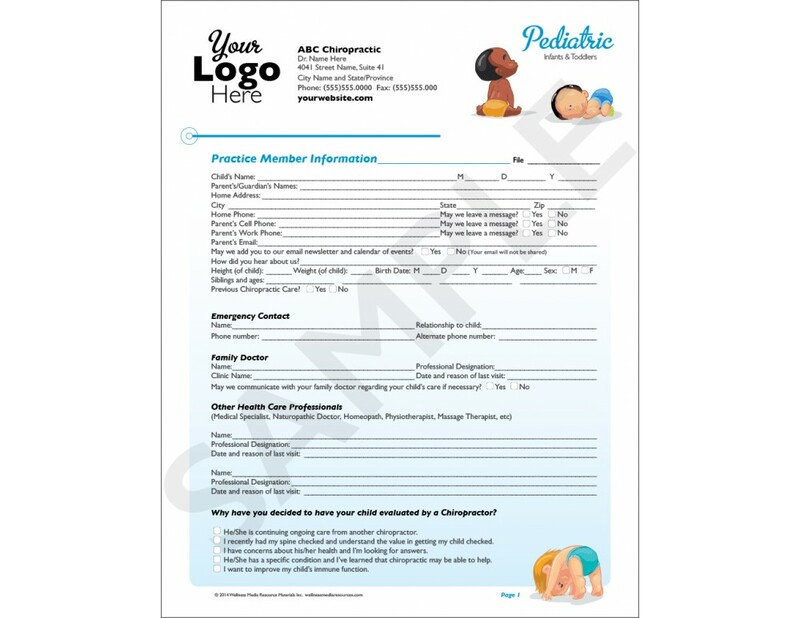 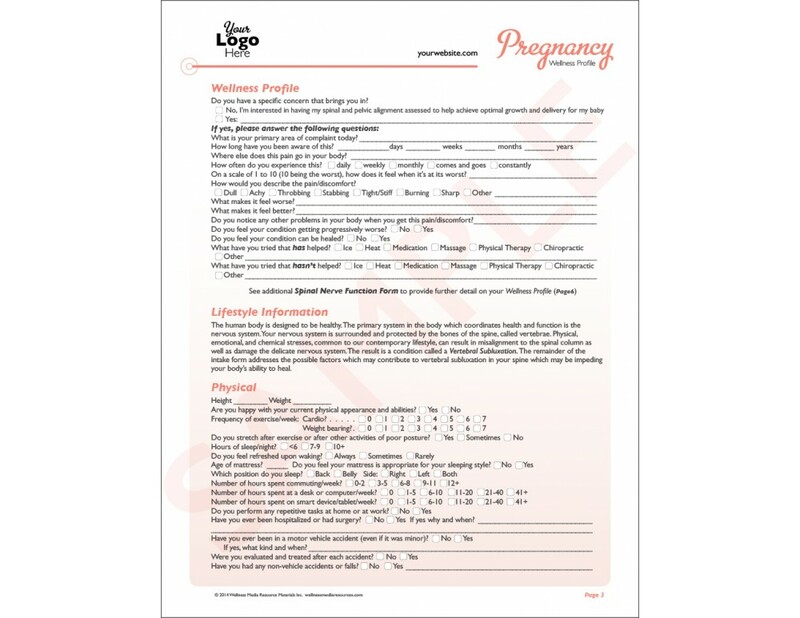 **This product includes all four versions of our intake forms - adult, pregnancy, child and infant.